Some words arouse very strong emotional reactions in adults. When I stumble across such words, I tend to get curious. Is the emotion justified or are people’s emotions getting in the way of understanding? “Profit” is most definitely one such word. I’ve come to believe that the emotions attached to that word prevent rational discussion of ANY issue even tangentially related to it. Maybe we can strip away the emotion, and just consider what the word means, and then we can start having rational discussions again. That’s it. That’s all it is. Benefit minus Cost. 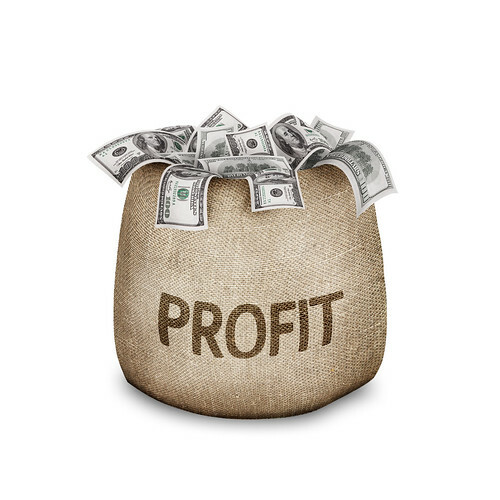 The word profit is an accounting term with some very specific parameters and implications for tax payments, but it has also been used widely for non-accounting purposes. Thus it has become more generic and less restrictive in its definition for most of us. The expectation of profit is the reason for all conscious human action. Why are you reading this article? You expect to gain benefit that exceeds the cost to you of reading it. For you, at this moment, the benefit may be knowledge, satisfaction of curiosity, sleep aid, whatever YOU define as benefit. The cost is electricity, internet bandwidth, time not spent playing with the dog, wear and tear on your desk chair, whatever YOU define as cost. If, after reading this article, you find that the benefit exceeded the cost, you will have profited from reading this article. If not, not. That’s it. It’s that simple, and that complex. You see, I don’t know how YOU determine profit in the transaction of “reading this post”. I don’t know how Google determines profit in the transaction “hosting and serving this post to the readers”. I don’t need to know. I have an expectation of profit from the writing of the article. You don’t need to know what my calculations are. You don’t need to know if I succeed or fail in achieving that profit. We don’t need to know each other’s business. If there is no expectation of ongoing relationship at all, we don’t need to even care if the other person profits. However…if there IS an expectation of ongoing relationship, then we BOTH should hope that the other person profits, because then they will return for a second similar transaction. Both profit? What? When one person wins the other person loses!!! That’s why profit is BAD!!!! Stop. You’re getting emotional. Stop feeling, start thinking. BOTH sides can win in a transaction that is freely made. You are free to read or not read this article, and will, hopefully, gain more benefit than the cost. I am free to write this article and post it, and will, hopefully, gain more benefit than the cost. We will BOTH have profited from the transaction. If you don’t profit, you will stop reading. If I don’t profit, I will stop writing. If a company doesn’t profit, they will stop making, mining, or growing whatever it is they make, mine, or grow. If employees don’t profit, they will quit working. If customers don’t profit, they will quit buying. Oh, and “non-profit” organizations that you have been taught are the “good guys” while the for-profit corporations are evil? EVERY individual who works for that organization does so because it profits them to do so. Non-Profit Organization is a Federal designation, and that designation controls how they are taxed and what they are allowed to do with the profits that they earn. They have to put all of their profits back into the organization – as salaries perhaps. For-profit corporations are allowed to distribute profits as dividends to their investors. Simplistic? Yeah. But that’s pretty much the gist. Once you realize that the desire for profit, the expectation of profit, the hope for profit, is the catalyst for all action, you discover how silly it is to get all emotional about whether or not someone ELSE achieves it. Other people making profit doesn’t necessarily impact your ability to profit from the things you do. It’s not a zero sum game. The people who want you to be angry at those evil profit-making corporations and the Richie Rich guys who run them? They’re trying to manipulate you, via your emotions and your ignorance. Don’t let them win. Be smarter. Next Next post: What Now: To The States!